Just like any other relay the ignition relay’s job is to ensure uninterrupted electricity supply to a larger component. 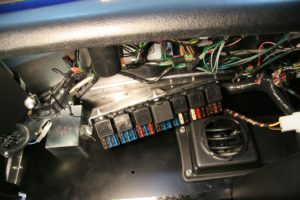 The ignition relay is normally found in the fuse box situated underneath the hood and it transfers electricity from the battery to the ignition components, which allows you to start the car in the blink of an eye. However, if the relay fails to perform up to its standards you will start experiencing problems and not in one but a number of engine components such as the fuel pump and the ignition coil among others. Therefore, if you feel turning the key in the ignition is having no effect on the dashboard, it may be time you get the ignition relay checked out by a certified mechanic. What is an Ignition relay? The ignition relay is basically an electrical device that works as a switch for the power to the ignition system and the fuel system of your vehicle. The ignition relay is activated as soon as your turn on the ignition of your vehicle with the key. The ignition relay then switches the power on and lets it reach to the systems that are required to be powered up so that your vehicle can function. As a result, the battery transmits the power to the ignition coil, which is then transmitted to the spark plugs of your vehicle to start the engine. The spark plugs then cause the ignition to the fuel in the internal combustion chamber of your vehicle so that the engine can start. Typically, we do not need to replace it and the ignition relay is designed to live as long as your vehicle does. Despite this, sometimes the ignition relay can fail due to wearing, accident, damage or exposure to water. A bad ignition relay will not only cause starting problems to your vehicle, but it can also cause stalling or the vehicle, draining and damaging of the battery and the power loss in the dashboard lights. In modern vehicles, the remote starting key is used which contains a small computer chip inside it. Ignition relay of such vehicles is more complex. An ignition relay does normally sit with a few other relays and fuses in the fuse box found in the engine bay. The area under the hood is open to contaminants and pollutants like dirt and debris – the common reason behind ignition relay failure. Even the car’s battery can destroy the relay by sending inconsistent electricity flow through to the system. Due to all of these reasons your car’s ignition relay can deteriorate and give you a headache when you are trying to start your car early in the morning. Fortunately, a number of symptoms can tell you beforehand if there is a problem waiting to happen or if it has already happened. We discover the signs of a failing ignition relay now in detail. The ignition relay’s primary job is to help you start the car. The ignition itself doesn’t do anything except ushering other components such as the fuel pump and starter to give life to the car’s engine. Therefore, it is natural that if you are unable to feel anything when you turn the key in the ignition, the ignition relay is having troubles. These issues need to be solved as soon as possible, otherwise, you will be forced to travel without your car. The ignition relay not only gives life to the engine but it works as an influencer that maintains the delivery of power to the fuel pump. The fuel pump, in turn, keeps the engine running, so if the engine stalls suddenly while working, you could be looking at ignition relay failure. All the car’s energy comes from the car’s battery, so it is necessary for the battery to work in tandem with other components otherwise a lot of the functions inside the car can fail. When the ignition relay fails it can cause the ignition system to work constantly even when you have removed the keys from the ignition. If the ignition relay is of low-quality it can get short-circuited pretty easily. A fried relay will affect ignition and it might even blow up due to overheating, which might also destroy the other relays and fuses in the fuse box. In which case you will be required to change the entire fuse box. 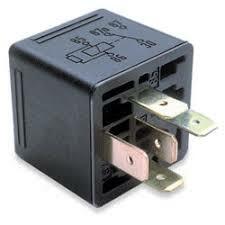 The ignition relay can burn from being overused or if it gets a power surge from the battery. All this can happen due to dirt depositing on top of it or heat of the engine getting through to it. Therefore, it is necessary to keep the fuse box and especially the ignition relay sparkly clean. Here we will tell you a few ways to clean an ignition relay effectively. The ignition relay is situated in the fuse box found in the engine bay. When you locate the fuse box, open it and find the mapping on top of its lid. The key will tell you the exact position of the ignition relay as well as other relays and fuses. Once you have located the relay, gently pull on it to remove it from the fuse box. The relay looks like a rectangular block and is hard to miss. It can also be located inside the car within any fuse box. Never use water to clean an electrical component like the relay as it can result in the relay getting destroyed completely. Therefore, always use a certified cleaner or easily evaporating liquid like ethanol for cleaning. However, first, use a blower to remove any newly deposited dirt on the ignition relay. After the blower use, the piece of cloth, apply the cleaner and rub it gently on to the ignition relay to clean it. You will find that this exercise does not require much effort and is easily finished within a few minutes. After you are done the cleaning, let the relay dry for a few minutes and place it again. Where is the Ignition relay located? The exact location of the ignition relay may differ from vehicle to vehicle depending on the design of the vehicle and the company that manufactured it. In most vehicles, the ignition relay is located in the long black box of your vehicle that you can find under the hood. The box usually has a diagram on it which will help you easily locate the ignition relay inside it once you open it up. The box is also called the fuse box. 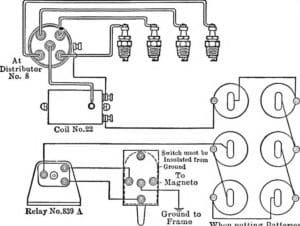 In order to easily locate the ignition relay and identify it properly, you may refer to the service manual provided to you by the manufacturer of your vehicle. It will be located in the relay panel along with many other relays installed on it. How to replace the ignition relay? The process of replacing the ignition relay will require you to diagnose the cause associated with the starting problem of your vehicle. If it turns out to be the bad ignition relay you will usually need to replace it with a new one. The process of replacement can be easy if you have the proper tools and some basic knowledge about automobile mechanics. The tools that you will generally require for the replacement include the scan tools needed for diagnosis, then the flashlight, ratchet sets, boxed end wrench, small and regular minus screwdriver, protective gears, and torque screw set. You may find most of these tools in your workshop easily. Once you have the tools and the new ignition relay ready with you, you may start the replacement process. Here is a step by step easy to follow guide on how you can effectively replace the old and failed ignition relay of your vehicle with a new one. Connect the cables to the battery terminals that you removed. How to diagnose a bad ignition relay? To see if the ignition relay has failed, you may test for the voltage drop or you may test for the electrical resistance. Here is a quick easy to follow testing and diagnostic procedure for finding out if the ignition relay has gone bad. To test for voltage drop, set your multimeter to 20V DC. If it is more than 0.2V your ignition relay has gone bad. For the electrical resistance test, the readings should be less than 5 Ohms for a properly functioning ignition relay.